Make plain yogurt interesting and easy to understand! When you walk into dairy section of the supermarket, you see many dairy based products and a sea of different kinds of yogurts. Out of all the kinds of yogurt, plain yogurt is very special and worthy of attention. However, it has lost its perception of being essential, healthy and tasting great due to a lack of communication. Danone, a world leading food company, believes that there is still a lot of potential for plain yogurt as it’s natural, simple and authentic. Danone wants to communicate better regarding plain yogurt. 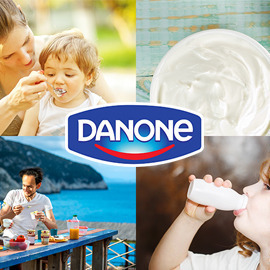 Can you help Danone to make plain yogurt interesting and easy to understand? Create a simple, impactful and easy-to-understand visual system for different textures of plain yogurt. FORMAT: Presentation with texts and visuals – maximum 3 pages (PDF).